Citizen Schools brings professional volunteers into the classroom to teach about their particular area of expertise. Most of the Citizen School programs serve minority or low income communities. They offer a variety of courses, or “apprenticeships,” that last 10 weeks. Each course culminates in a final presentation where students share their newly-learned skills with parents, teachers and various professionals in the field they studied. Robinson’s assignment was a 7th grade classroom at Ivy Hill Elementary School. Though Citizen Schools has an idea bank and lesson plan database, Robinson decided to forge her own path. “I didn’t want it to be just about Safe Routes to School,” she says, “I also wanted them to learn about their community and how they can be the changemakers within it.” She took aspects of Oregon-based “Neighborhood Navigators” curriculum and mixed it with her own community planning experiences to create a course where students would learn not just about the Planning profession but about community design, placemaking, responsible citizenship, and community efficacy. 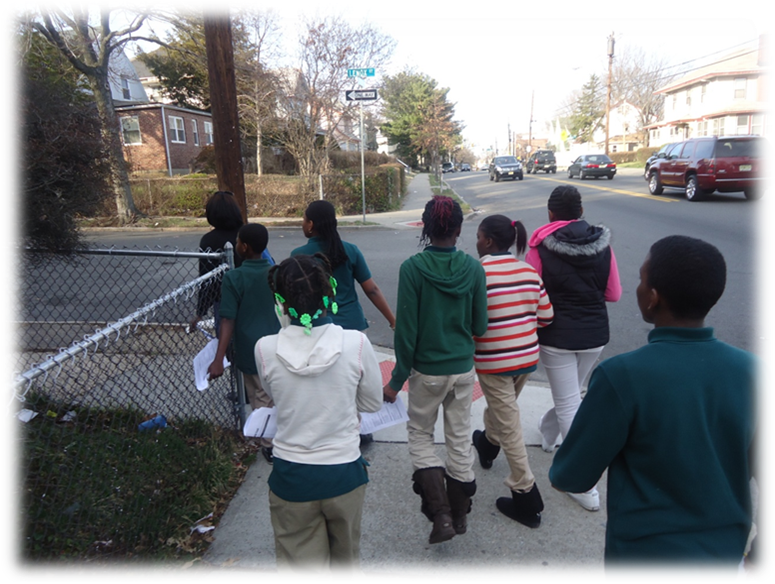 She assigned her 11-student classroom the task of conducting a walkability audit of their school neighborhood. The class worked together to take pictures and assess what they liked and didn’t like around their school and what could be done better. The students really took to their task. Robinson recalls that “the kids were so excited about going outside and doing the field work.” In the weeks that followed, she invited two co-workers, Mike Dannemiller, a planner and engineer, and Charlie Cunion, a landscape architect, to be guest speakers. They spoke about site selection and design principles and then worked with the class to use the information they had gathered to create a prioritization list for the playground and possible bike rack sites. Armed with data and determination, the students met with the school’s principal to discuss their ideas for a new school-zone design. To their surprise, they found out that the principal, Mr. Outlaw, had actually acquired funding for a new playground, and he welcomed their input for design proposals and bike rack implementation sites. At the end of the course, Robinson’s class gave a final report on their findings. 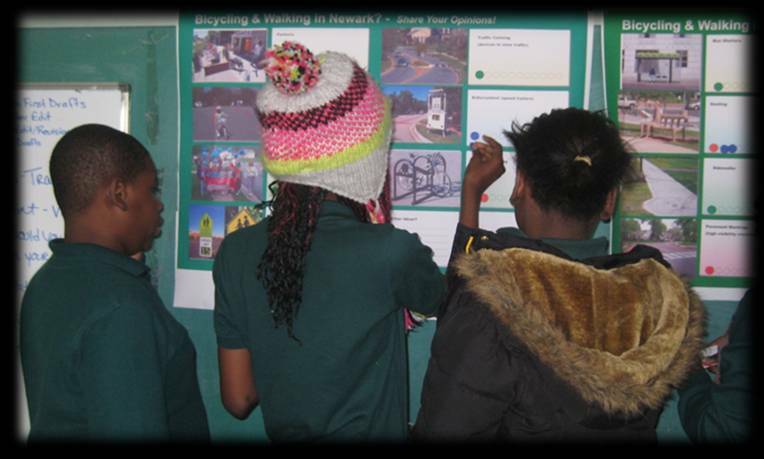 They spoke about the characteristics of traffic-calmed street and the benefits having safe ways to walk and bike to school. They also presented a “vision” of what kind of projects they’d like to see happen around their school. This entry was posted in Bicycling, Education, Encouragement, Evaluation, Walking. Bookmark the permalink.